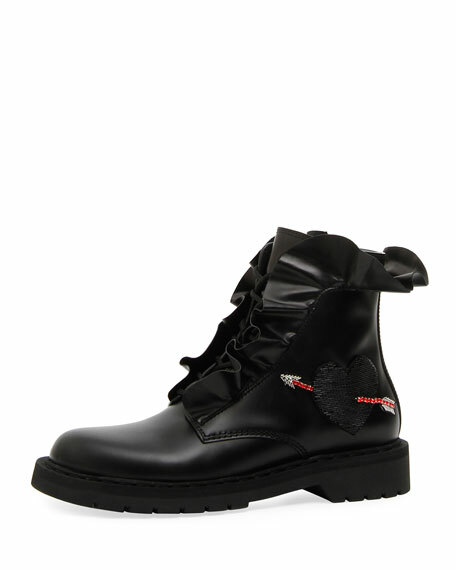 Valentino Garavani calf leather combat boot with beaded heart and cupid's arrow feature. 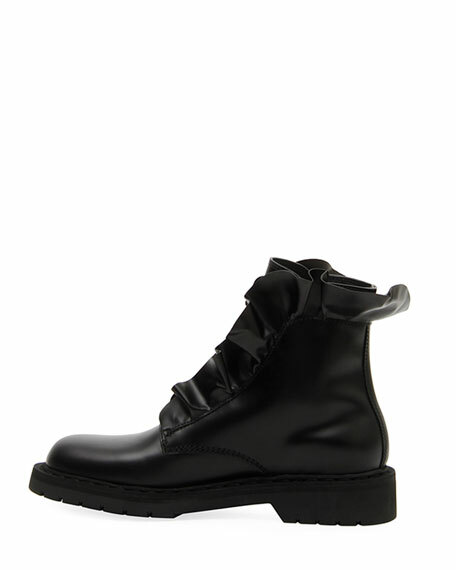 0.8" chunky heel with platform. Ruffle trim at lace-up vamp. For in-store inquiries, use sku #2506728. 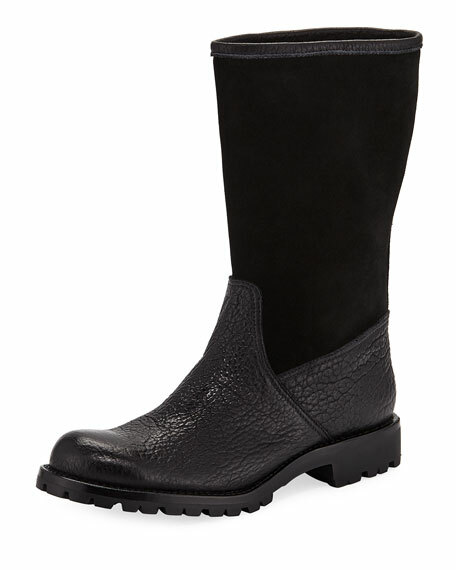 Gianvito Rossi western-style Chelsea booties in smooth calf leather. 2.8" stacked block heel. Pointed toe. Elastic side gore. Pull-on style. Exclusively ours. 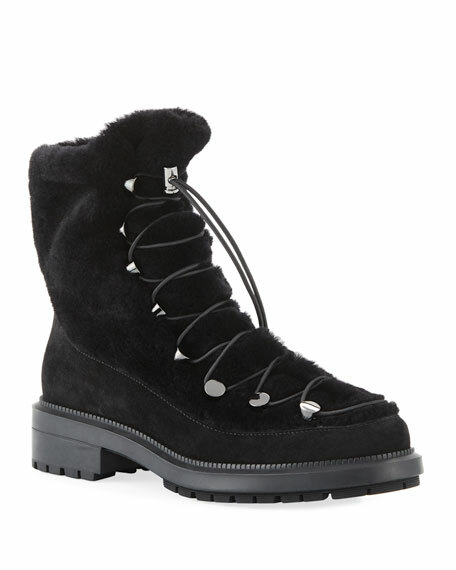 Gravati suede and pebbled leather mid-calf high boots. Chunky flat heel with slight platform. Round toe. Pull-on style. Dyed sheep shearling (Australia) lining. 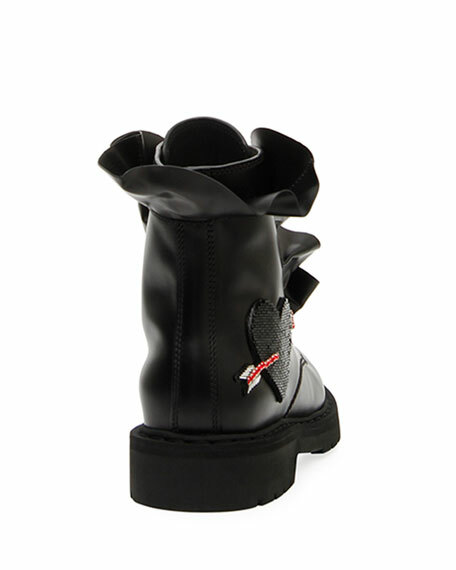 Lugged rubber outsole. Made in Italy. 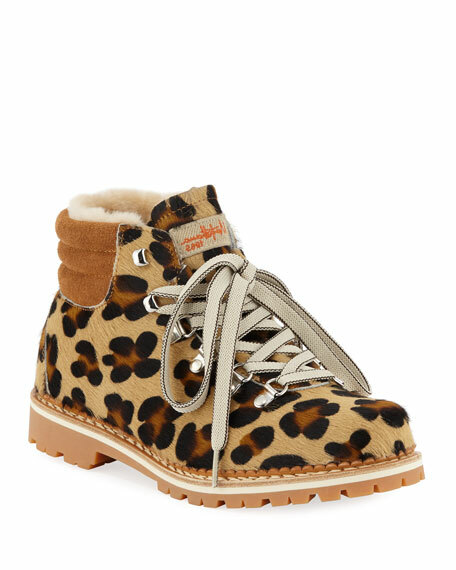 La Montelliana boots in leopard-print dyed calf hair (Italy). Chunky flat heel with platform. Round toe. Lace-up vamp. Logo at tongue. Quilted backstay. Dyed lamb fur (Australia) lining. Scalloping at midsole. Rubber outsole. "Margherita" is made in Italy.